Jewish Home has authorized the outline of an agreement with National Union to form a joint list for the Knesset, the party said in a statement Thursday – apparently just in time, as a new poll Thursday showed that, running alone, neither would pass the electoral threshold. The poll, taken on behalf of Reshet Bet, showed the Likud still with a commanding lead. The party led by Binyamin Netanyahu would get 30 seats if elections were held today, with Benny Gantz’s Resilience Party a distant second, with only 20 seats. Labor, after its primary earlier this week, shows a significant jump to 11 seats, but pollsters did not expect that to last. Yesh Atid also polls at 11 seats. The New Right would get 10 seats, United Torah Judaism seven and Shas five. Meretz, Kulanu, Yisrael Beytenu and Orly Levy-Abukasis would get four seats each. 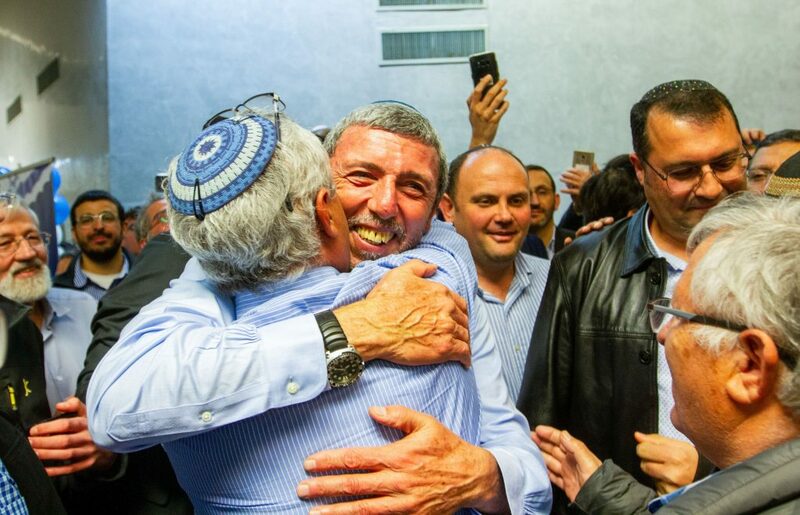 The poll also examined what would happen if Levy-Abukasis joined with Gantz, considered to be the most likely union after Gantz spurned a union with Lapid, and Moshe Kahlon spurned a union with Gantz. In that case, Resilience would get 22 seats, but the Likud would go up to 31. Those votes would largely come from Kulanu – which, under that arrangement, would not pass the threshold. In either case, the poll shows what recent queries of the public have consistently shown – the right would have half, or slightly more than half of the seats in the Knesset, while the best the center-left could do – assuming that the hawkish Lapid and Gantz would enter a government with the dovish Labor and the far-left Meretz – is a “technical block,” which would prevent the Likud from forming a government, but would prevent Gantz or Lapid from forming one, unless religious, chareidi or right-wing parties could be convinced to join. In its statement, Jewish Home said that although it was “difficult,” party head Rafi Peretz had authorized the outline of the agreement. “We expect the National Union to show the same level of responsibility by authorizing the agreement, so it can be signed by the end of the day Thursday,” it said.